Show everyone your patriotic spirit with this crocheted bracelet! 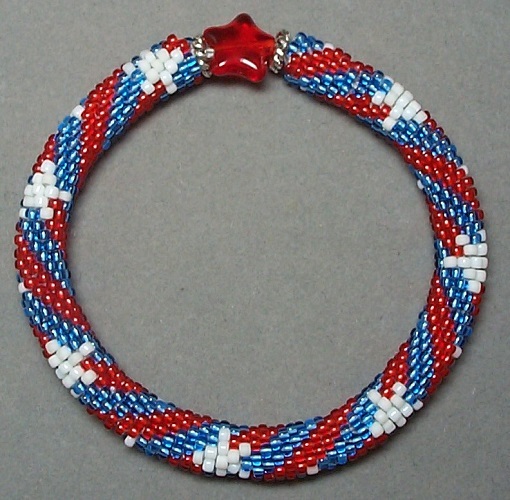 Pick your favorite shades of red, white and blue seed beads and show your colors. Try using a solid background and making the stars gold and/or silver and have a great Christmas bracelet. This pattern was presented in the Bead-Patterns Magazine, Issue #12, July/August 2007.